Browser extensions are used by almost every internet user. They have the power to enrich the browsing experience by giving much-needed features within the web browser. Active social media users are known to be active in multiple accounts at a given time. Sometimes, it becomes very difficult to effectively manage multiple social media services from within the browser. 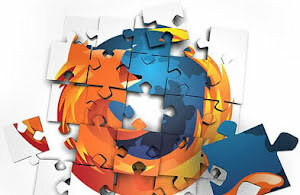 In this situation, Firefox add-ons come handy making things easy for an avid social media user get more out of his social media activities. Check out these hand-picked add-ons made especially for social media enthusiasts. They're easy-to-use and gives you enough power to leverage the features of all popular social media channels. Do not hesitate trying out all of them and to select the best ones which fit your needs. I use few of these social media plugins and found them immensely useful in saving my time and in giving me extra features to aggregate my content easily for my target audience. Let's try out these useful social media plugins for Firefox. 1. Social Fixer: This is a must-have plugin for avid Facebook users. Once installed, it can be used to transform your entire experience by hiding or changing different aspects of the Facebook interface. I use it regularly on my Facebook account. 2. AddToAny: Share Anywhere: Quite similar to Shareaholic, this add-on lets you share and bookmark web pages. You can share, post, blog or email to your network through various social media services. It has a huge user base and it is updated regularly. 3. WiseStamp: If you're a Gmail user, I'm sure you already know this handy add-on. This excellent extension lets you create rich HTML email signatures quite easily. It's a very handy tool for almost every business email user. 4. Multi Messenger - WhatsApp, Telegram Launcher: This extension provides a robust and flexible chat client. It also lets you transfer files across your channels. It supports all the popular and user-friendly instant messaging services. 5. Save Button for Pinterest: You can use this handy plugin to quickly upload single or multiple images to your Pinterest account. Pinning the entire page with multiple images is also possible. You can easily filter out images which you do not want to be included in the pin. 6. Buffer: If you're using Bugger to spread and share content from the web to your followers, do install this handy add-on. It's one of the quickest ways to share your favorite web content on different social media platforms. 7. Awesome Screenshot Plus: No avid social media user can live without this add-on. It easily lets you capture a web page (either full or in parts) and enables you to annotate it before sharing on your favorite social media platforms. 8. Evernote Web Clipper: Every Evernote user needs this add-on to quickly clip his favorite web content within the account. It's extremely easy-to-use and saves a lot of time. It also lets you annotate web pages before saving them to the account.